Satco Incandescent lamp features screw-in E26 medium bulb base. This 200-Watt, A23 lamp outputs a light of 2900 Lumens. The arbitrary lamp has an average life of 5000 Hours. 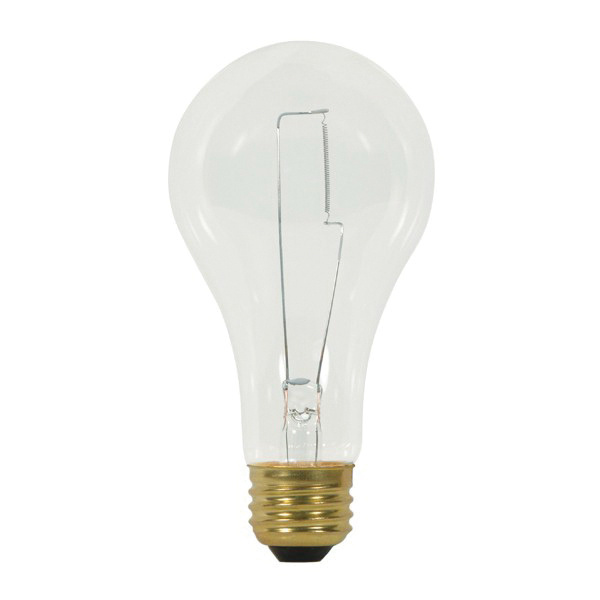 The CC-6 filament lamp in clear finish, has a voltage rating of 120-Volts AC. It is suitable for household or commercial applications. The lamp is RoHS compliant.